There are some forms of sadness more worth having than some forms of happiness. A young mother shared in church on Sunday the pain her family was going through with their foster child at the moment: a pain coming from loneliness, frustration, anger and yes, love for this child that they welcomed into their home last year, and whom we have welcomed into our church. It made me think of something I have found to be true in my life—that there are some forms of sadness more worth having than some forms of happiness. Some people, Christians in particular, find this statement bizarre, or even a little offensive—as though I am romanticizing depression. And I truly don’t mean that. There was a time in my life when I did think depression was an essential part of my personality, because I had no memory of a time when I was not depressed. Then I went to college, and found out what it was like to be happy. I learned that much of my depression had its roots in external sources like family dynamics and the Findlay, OH public school system, and that I was more myself when I was not depressed. Usually, I tell people who are alarmed by statement about sadnesses worth having that everyone who has had children has experienced pain they would never have experienced, had they not had children. Some parents, in particular have had children who experienced illnesses or other hardships they never anticipated when they felt the drive to become parents, but the vast majority of people think that having their children were worth that pain. But I am usually thinking about the pain absorbed by people who have chosen to take risks, for the sake of love, that most people choose not to. Like the people at my church who chose to become foster parents (and before that, worked as volunteers with undocumented migrants), I have chosen to take risks in my life that took me to sad places. 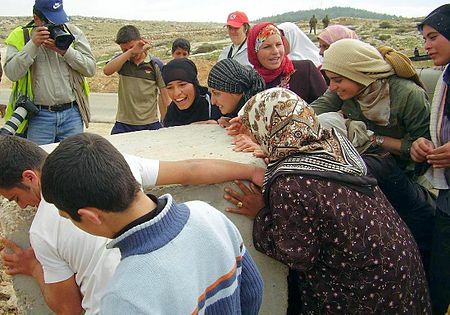 I have worked for a human rights organization, Christian Peacemaker Teams, since 1993, that currently has projects in Palestine, Iraqi-Kurdistan, Colombia and with Indigenous communities in North America. Often it seems that every small triumph our partner communities experience arises out innumerable setbacks, failures, and humiliations. So why live this sort of life? Why put myself by choice among people who did not have the choice to live the life they did? Because when ordinary people choose to struggle together to change their worlds, and when the world takes notice, and begins to reach out to them and stand with them and tell other people about what they are doing to claim their human rights and their dignity; and when the systems and powers that are oppressing and robbing those people finally have to stop telling their lies about them and back off; and when you have been a small part of standing with them and telling their story…there’s a deep, tired joy in all that makes you extraordinarily glad you got involved. And once I get to a certain point in my novel where it stops becoming work, and characters take on a life of their own, and it’s hard to stop writing—that’s an adrenaline rush like no other. UPDATE: We learned on the morning of June 25, 2014 that Jalil was turned down for parole yet again. He wrote to me and my husband that there had been one sympathetic person on the parole board, but she must have failed to convince one of the other two people. I feel so sad, because I know from letters he wrote to me and my husband that he had allowed himself to hope. was swept up in the COINTELPRO prosecutions/persecutions of J. Edgar Hoover’s FBI in the 1970s and has been incarcerated since 1973. During our visit in April, we were talking about our writing and my husband brought up, a little to my chagrin, my novel, The Price We Paid, and suggested that Jalil’s opinion on it was worth having. Within a few days of his receiving my manuscript, I had Jalil’s first letter. It was exactly the sort of critique that any writer hopes to receive from a reader, one that shows the reader has read the manuscript carefully, noticed gaps in logic, and sees ways that it can be improved. He followed it with two more letters containing some afterthoughts—again, gratifying to the writer, because it shows the novel has stuck with the reader. The flaw he pointed out that I most want to remedy was the omission of how the African slave trade, 400 years of slavery, segregation, Jim Crow etc would have fed into the rise of the Christian Republic theocracy—even though the people participating in the government, including people of color, might not understand this history. As you may recall, I mentioned there was an absence of the African diaspora experience and how it shaped the U.S. existence. What I failed to mention as a method for you to include this dynamic is the reality of how the slave trade miscegenation created a New Afrikan. The Igbo, Hausa, Fulani, Mandigo, Mandika, etc. etc. were chained, shackled and brought to the country, denied the right to practice their indigenous religions (Yoruba, Islam, Animism, etc.) were told to Christianize their names, not permitted to read or write, until they were integrated into the Christian religion, soon being allowed to read the Bible and Christian literature, etc. until they were able to have Black Christian churches and other forms of worship. This method of creating a New Afrikan, including Native American and European DNA in the Afrikan bloodline, wrapped in the Christian belief system was an important plan/procedure to domicile these Africans, which lead to the U.S. becoming an international economic power. 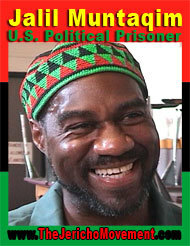 So this has given me the idea to go back to the Ralph section, when he is meeting the young people from all the various youth groups in the DC area to plan public witnesses that are veiled critiques of the government, and having one of them be a New Afrikan youth group, who view Christianity as a slave religion. I was thinking that Jerry, Ralph’s boyfriend, could become fascinated by the New Afrikan kids and interested in that history. Hank, on the other hand, devout African Methodist Episcopal Zion member that he is, would frown on this talk, and that could increase the sense of alienation that Ralph begins to feel towards Hank, who has been a mentor and father figure to him. Last summer, I wrote about the pleasure of revising future Canadian history in the manuscript after my colleague Jim Loney read it. I will feel some of the same pleasure incorporating Jalil’s suggestions, especially since Iz and most of the people in my novel’s resistance movement are people of color. So I was even more apologetic than I would have been ordinarily that it took me so long to respond to Jalil’s letters. I noted that I was feeling a little overwhelmed by my CPT work, and had been unable to do writing that really fed me for more than a month (more about this in a future post.) He wrote back that it was good to take time away from CPT work to deal with my needs and mentioned that his comrade in the struggle, Safiya Bukhari had died too young because she had not taken care of herself. (It feels weird to receive comfort and encouragement from someone who is locked up in Attica while I am living a suburban lifestyle in Rochester, NY.) I googled Bukhari and really wish she was still around. She sounds awesome. And she was a year older than I am when she died. In a couple weeks, Jalil will be face a parole hearing for the eighth time. It is my great hope that justice will prevail and he will be able to leave prison and sit down to the family dinner his mother wants so much. If not, I am going to adjust my fantasy. If I manage to sell this book I will suggest, as part of the marketing, that I will follow up with a short story or novella about Iz leaving jail, on the condition that all of the COINTELPRO prisoners receive a pardon. In 1998, Paul Schrag from the Mennonite Weekly Review called me and asked if I would be interested in taking over the “World Neighbors” column from Willard Unruh. Every month since that time, I have written a column about countries on five different continents. During the first week in December, I was at Evangelicals for Social Action conference, where I learned that Israeli authorities had just denied entry to one of my colleagues into Palestine. I was also feeling anxious about my own entry, wondering whether Israeli authorities would give me a hard time because I had just left the country six weeks earlier in October. And I was agonizing over a contest I had entered my novel, The Price We Paid, in, hoping in an almost sickening way that it would bring the manuscript to the attention of an agent. Then I got the e-mail. When the Mennonite Weekly Review had become the Mennonite World Review, I had been informed that my column would now be shared with two other people and I would thus be writing only three times a year. This e-mail informed me that some plural entity had decided that World Neighbors needed a more “consistent voice” and they were asking another person to write it. My first reaction was more annoyance than anything else. My column had been taken from Willard Unruh and given to me (and I could tell from his final column that he had been a little hurt by it.) The editor could have just told me that he thought it was time for someone else to write it. In a follow-up e-mail, he told me that he was trying to be diplomatic and that at fifteen years, I had been the longest running columnist in the history of the Mennonite Weekly/World Review. And although I thought “diplomatic” was not the right word at all, the follow-up e-mail did make me feel better. The Mennonite Weekly Review giveth and the Mennonite World Review taketh away. Blessed be the Mennonite World Review. And then there are the human rights people who are working out “issues” that I won’t go into here. 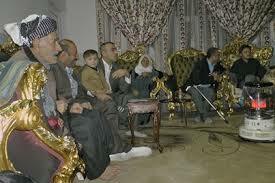 Hajji Hussein (with child on lap) was a political prisoner for whom CPT’s Iraqi Kurdistan team advocated. He was freed right after an Urgent Action e-mail Campaign we sent out on CPTnet. And right after #Pitchwars. Yes. Hajji Hussein’s freedom was really more important. Really. I’m writing this entry because I’ve been really conscious over the last couple weeks of how my attention has NOT been focused on the needs of the people my organization serves, nor on the people near and dear to me. Pretty much, all I have been able to think about is getting my novel noticed by an agent. It all started with the #Pitchwars contest. The premise of the contest is that “mentors”—agented authors, agents’ assistants or other people who have connections in the literary world, read the query letters and the first five pages of the novel that the authors are submitting to the contest and choose one author and two alternates to mentor. Then they read the entire manuscript and help the author sharpen both the manuscript and query for submission to an agent. I got a mentor interested in my submission based on our shared interest in Joss Whedon, although she was upfront about it being outside her genre, and I began obsessively following the #Pitchwars Twitterfeed to watch her and the other three agents to whom I submitted discussing the entries. Now, I was getting ready to leave the country for another two-month assignment with Christian Peacemaker Teams (CPT); I needed to get my three substitute editors situated to take over CPTnet while I was gone; CPT was doing its end of the year fundraising push. I was very conscious that my mind needed to focus on other things. I think it was at the meeting of my church’s Pastoral Ministry committee when we were discussing the needs of people in my church that I felt the most selfish. The other three people on the committee were discussing these needs–some of them pretty dire–and I realized I hadn’t really been giving them any thought, because I so very, very passionately want my novel–The Price We Paid, formerly Shea–to be published. And this #Pitchwars contest had given me hope that a little mentoring might get me there. With a little distance now, I know it was a good experience. I am still surprised by how approachable the mentors were to unpublished authors with questions and how much time they put into their responses to the people they chose not to mentor. I think I realized later that the contest was not for literary fiction, and hence, not the best venue for my novel. I don’t mean that in a snobbish sense, but in the sense that the mentors who were critiquing adult fiction had a background in commercial and genre fiction. The mentors who commented said I should look for agents who represented literary fiction. I also got good ideas for sharpening my query. For example, I think I’m going to have to cut out the Hosea and Gomer reference from all future queries, which hurts a little, since Hosea’s love life was the epiphany that led to the novel. But in my last conversation with Jim Loney, who is taking over CPTnet part of the time when I’m gone, he told me he had forgotten the connection the novel had with the biblical story, and he’s one of the novel’s strongest advocates. Years ago, when I got a fellowship to workshop my first novel manuscript with Lee K. Abbott, based on the first chapter I submitted, he asked if I had completed the novel. Upon learning I had, he said the good news was that most aspiring writers never do that. The bad news was that I would probably have to write five before I got published. And I do have the beginnings of a fourth beginning to inkle about in my brain. But I am not finished with The Price We Paid. Apart from all the ignoble reasons I want it published, I believe in it; I believe it has a life and that I am supposed to advocate for that life. I just wish I were a better promoter. UPDATE: My Twitter Pitch ( “A” stands for “Adult”) was not chosen for the 75 “Pitchmas” pitches: “A/ Literary Dystopian Iz cheats on his wife but also helps her bring down corrupt religious regime that rules U.S. during 2065-2089 #Pitchmas” Again, I’m not sure literary novels lend themselves to Twitter-length pitches. 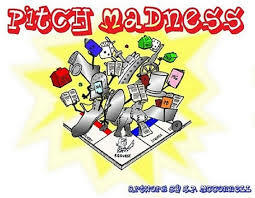 Two weeks ago, I participated in author Brenda Drake’s “Pitch Madness” contest, in which you have 35 words to “pitch” your novel followed by the first 250 words of the novel. Mine was eliminated before it reached the literary agent round. I’ll include it below. I think the first 250 words could have lead the early readers to believe that it’s a religious novel, as opposed to a novel with some religious characters in it, but it still seems like a strong opening to me. Anyway, this week Drake sponsored #Pitmad, in which authors could pitch their novels within the constraints of a Twitter post—140 characters, which had to include the hashtag #pitmad, and the genre. You weren’t allowed to post more than once an hour and if an agent favorited your tweet, you sent him/her your submission. For some reason, over the course of four hours, fake pitches kept popping out of my head. Given that I am leaving the country at the end of the month and am REALLY pressed for time, I consoled myself by thinking they really did only take seconds to produce. So here they are, from most to least recent. I confess I plagiarized this one from a framed cartoon in my office. Slave laborer in oil fields eventually discovers he is mining sebum from blackheads of giant human’s nose #fakepitmad This got me an “ewww from a fellow participant. An exiled elf returns to compete for the hand of her love with a troll offering 8265 REALL FOLLOWERS!! #Fakepitmad This pitch relates to the fact that the #pitmad feed was beset by spammers after awhile promising thousands of followers for twitter accounts. I sort of assume that authors I haven’t heard of who have like, 20,000 followers have bought them from these people. I don’t mind things like #pitmad. They can be fun & force you to conceptualize your novel. But a full query + sample pages is always better. @JimMcCarthy528 This is exactly why I don’t think these are very helpful events for writers. Political dissident Islam Goldberg-Jones recounts in prison memoir how his infidelities devastated his wife, the iconic activist Shea Weber, as they participated in the struggle to bring down the fascist (U.S.) Christian Republic regime 2065-2086. I came to God late in life. It was not because I feared hell or longed for heaven. When you finish reading this account, you will understand why I have some anxiety about reunions with the people I’ve loved after I die. Ironically, it was the Christian Republic that in the end made me a believer, when it put me in solitary confinement. By the second year, my sanity had eroded to the point where I thought if I were talking to something besides myself, it meant that I was less crazy. So I began praying, and after about a week of rambling on to some invisible deity (saying essentially the same things I rambled on to myself about), I finally felt a presence in my cell. But it wasn’t God; it was Shea, praying for me, and then her parents, and then all the Wayvers on the outside who had the mistaken belief I was a hero. Sometimes I could almost make out the words, but mostly, I felt those prayers in my chest, breaking the iron bands of fear and depression that made breathing difficult. It would be a while after that before God and I spoke, and I believe that I was ungracious enough to tell him/her that I was much more impressed by feeling the connection to people praying for me than I was with direct contact to the Divine. Yes, I was angry. Apparently, God decided to work with it.